Consumer Price Index Numbers for Industrial Workers on Base 2001=100. Monthly Index – July 2018 is 301 points. There has been very big increase of 10 points in July 2018 , this increase of CPI is highest in last four years. 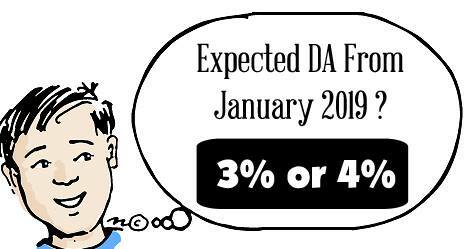 DA as on 1st August is 10.36%. The present DA as on 1st July 2018 is at 9%.